At the start of the year, we held elections for our school council representatives. This was a great opportunity to discuss democracy and how elections work in the UK. Each candidate gave a speech or presentation and then the children voted for the two children they wished to represent them at School Council meetings. Our School Councillors will put forward the views of the children in UH relating to important issues within school as well as helping organise and run events throughout the year. Homework will usually be set on a Tuesday and will be due in on the following Monday. As well as completing the homework, the children are also expected to read at least four times a week. 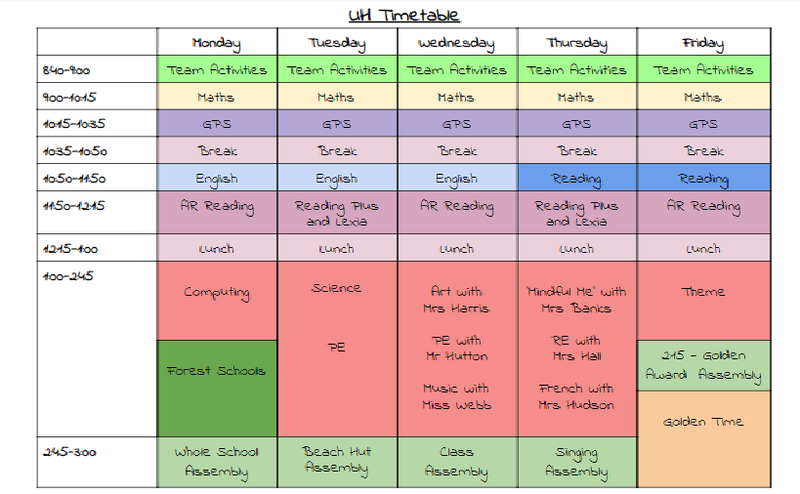 If the children do not complete their homework or required amount of reading they will have to attend sessions during Monday and Tuesday lunchtimes until the activities have been completed. We do also offer a homework club, which is voluntary, for the children on Wednesday and Thursday lunchtimes. This allows the children to complete that week's homework in school with members of staff. This term, as part of our 'Pompeii' project, we will be visiting Colchester Castle. As well as spending time at the museum, we will be taking a tour under the castle investigating the foundations of the Roman Temple which once stood on the site. Key Skill: Know the order of historical time periods. On Tuesday 2nd October Upper School will be visiting Duxford Imperial War Museum. Here is a link to the Duxford website so you can find out what we have to look forward to. ​We operate an open door policy on Wednesdays after school. But if you wish to contact me the please complete this form and I will get back to you.